I'm the original owner, no modification, and no need to change anything on it! 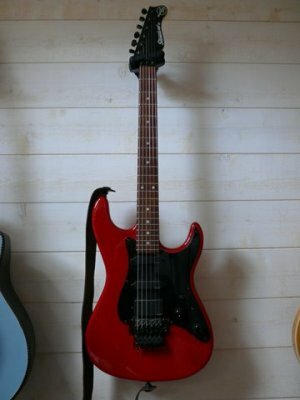 trans red satin finish , black hardware, Rosewood fingerboard, solid maple body , maple neck and rosewood fingerboard. EMG pickups. Absolutly perfect with my Roland jazz chorus.